We couldn’t think of a more appropriate time to present this beautiful song that talks about the yearning and wanting of a simple time when the whole world will be at peace. Originally recorded by Mordechai Ben David on the album ‘Neshoma – Soul’. 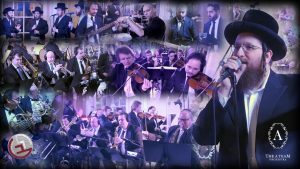 Sung here by the incredible Shloime Daskal featuring the backup vocals of Lev Voices alongside an 18 piece A Team Orchestra.